PALO ALTO, Calif., July 21, 2016 — uAvionix and the Stratux open-source project announced today the release of the pingEFB ADS-B Silicon Radio. 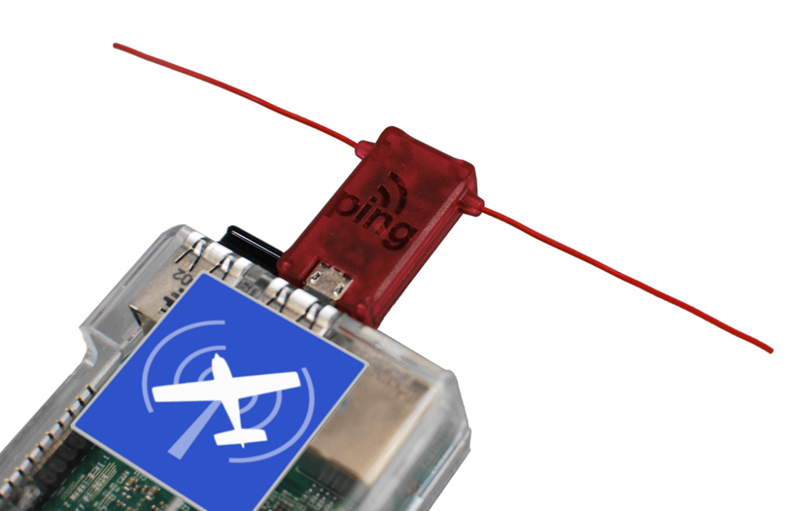 pingEFB is the first purpose-built ADS-B (Automatic Dependent Surveillance – Broadcast) receiver to be compatible with the innovative Stratux project, a full featured, homebuilt ADS-B platform. Easy to assemble from off-the-shelf hardware, and compatible with a wide variety of Electronic Flight Bag (EFB) applications, Stratux has a passionate community of users and developers. uAvionix will be demonstrating pingEFB at EAA AirVenture 2016, and can be found in Hangar D, Booth 4054. Limited quantities will be available for purchase at EAA AirVenture for an introductory price of $75. It can be found available for pre-order the following week at http://uavionix.com and https://www.amazon.com. uAvionix develops the world’s smallest, lightest and most affordable family of ADS-B transponders, receivers and navigation tools. uAvionix’s Ping network system combines hardware, software, and real time airspace mapping to enable safe operation of and collision avoidance for manned and unmanned aircraft in the National Airspace System. Founded in 2015, Palo Alto based uAvionix has gathered a cross-disciplinary team of experts in embedded RF engineering, aviation, sUAS operations and compliance, hardware, software, and cloud services. CEO Paul Beard is a serial entrepreneur with an extensive background in aviation and unmanned aircraft systems.